Oregon Poker – Is Online Poker Legal in Oregon? For now, online poker is illegal here. But Oregon poker players do have other options. Want to host a poker game in Oregon? Play in one, perhaps? According to Oregon law that is more than okay. Section 167.117(21) defines “social game” as (a) A game, other than a lottery, between players in a private home where no house player, house bank or house odds exist and there is no house income from the operation of the social game; and (b) If authorized pursuant to ORS 167.121, a game, other than a lottery, between players in a private business, private club or place of public accommodation where no house player, house bank or house odds exist and there is no house income from the operation of the social game. The bottom line is this – you cannot rake the pot or charge people to play. Other than that, you’re okay to play. Section 167.121 empowers counties and cities to authorize, regulate and license social games in private businesses, private clubs or in places of public accommodation. From what I understand the same rules apply to clubs. I’ve been to a couple in Portland and they primarily make their money from selling food and beverages. Online poker (for poker players) isn’t covered by Oregon’s laws. So, by default, it is illegal. However, they’re nothing like their neighbor to the north – Washington. Meaning, it’s not a felony to play online. It’s possible to play online at offshore sites and get away with it. Just know there’s always a risk taking that path. You want to be sure to choose a legit site and only keep what you need to play online. 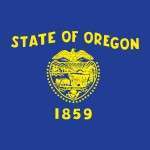 In addition, Oregon law does cover internet operators, meaning it is a Class C felony to operate an internet gambling business where you knowingly accept payments for unlawful gambling. Online poker might be a bust, but live casino poker isn’t. There are TONS of casinos in the state and many of them spread poker games. Wildhorse Resort & Casino – They run tournaments and cash games. Their cash games offer a bad beat jackpot, a no flop, no drop policy, and a max $3 rake on hands that do see a flop. Spirit Mountain Casino – Their poker room offers cash games, plenty of tournaments and a high hand promotion. What’s even more unique is their online casino – here you can play free slots and table games. They even have a mobile casino. Three Rivers Casino & Hotel – They offer tournaments and cash games – with a bad beat jackpot. And that’s just the first three casinos I found on Google. With a quick Google search you’ll find plenty of options (especially near the coast). Experts think we’ll see legislation passed in 2017 or 2018. Depending on which states legalize poker next, Oregon could be a very interesting state to watch in relation to this. The fact that Oregon already allows live poker in casinos, home poker games and poker clubs makes players here that much more optimistic about possibly getting online poker legalized some day soon.